I hate to say this... but I think we need to stop planting citrus for a while. The spread of this disease is consuming the state. My mom had a tree that got it in Ft. Lauderdale... a woman came to one of my talks and told me two new trees she'd just planted were diagnosed with it... I talked with the Orlando extension agents and they're getting cases almost daily... it's ridiculous. Not a good time to plant an orange tree. 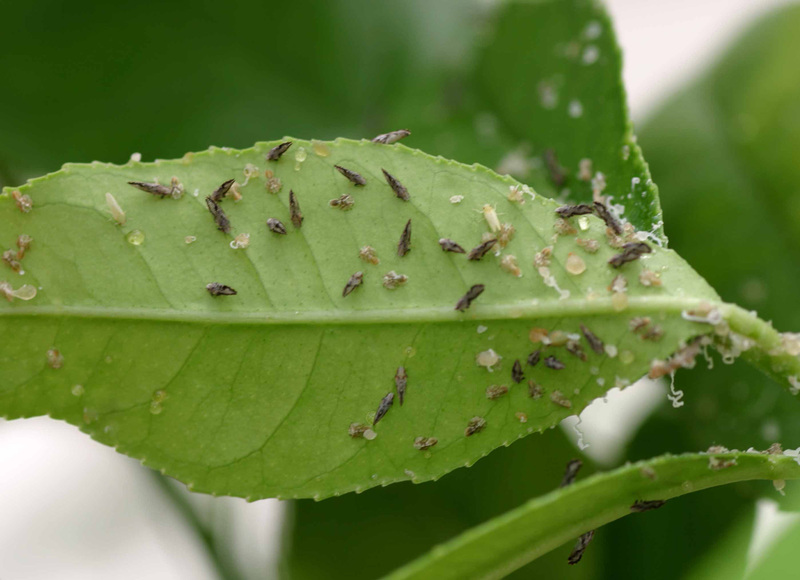 The psyllid is a tiny thing... but it carries the disease much like mosquitoes carry malaria. If they feed on a sick tree, then on a healthy one, the healthy one may become infected. Ladybugs love to consume these guys, so if you keep plenty of places in your yard for beneficial insects - and don't spray - you may dodge the greening bullet. 1. Look for strangely yellow shoots. If the new growth looks like the tree is way short on nitrogen - look out! 2. If the fruit is bitter, salty, misshapen, twisted or ripening in weird ways - look out! 3. 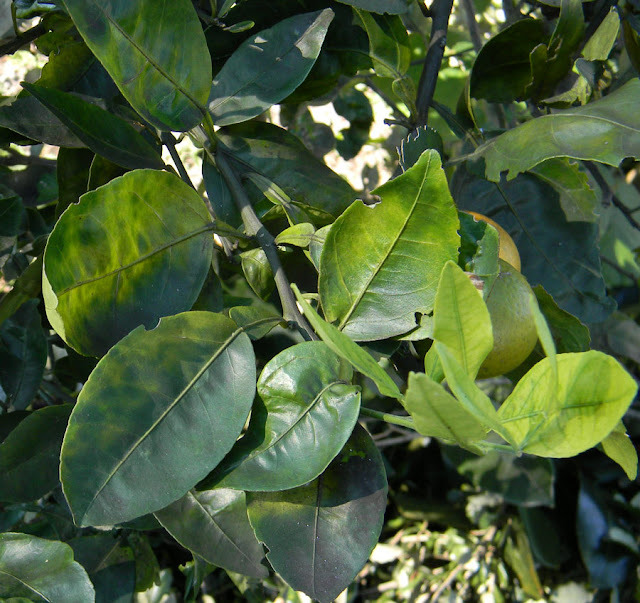 If your leaves look mottled and chlorotic, look out! The above photos were taken during a tree examination I did in South Florida. I double-checked with the experts at the Extension office... and my fears were realized. 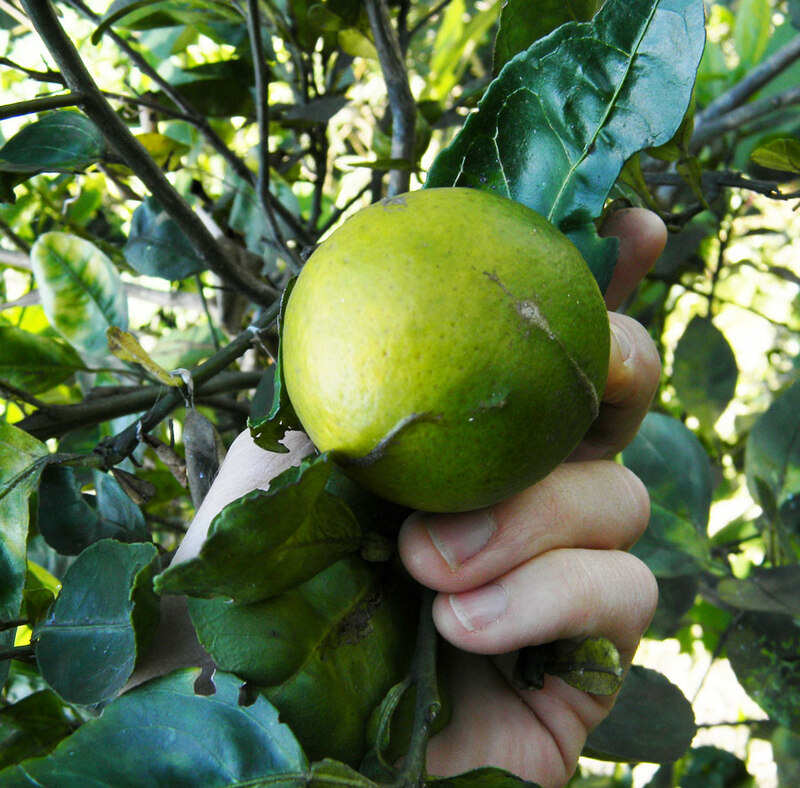 We destroyed the tree in the hopes that the disease hadn't already spread to the neighboring citrus. Chances are good, however, that it has, so further monitoring of those trees is necessary. 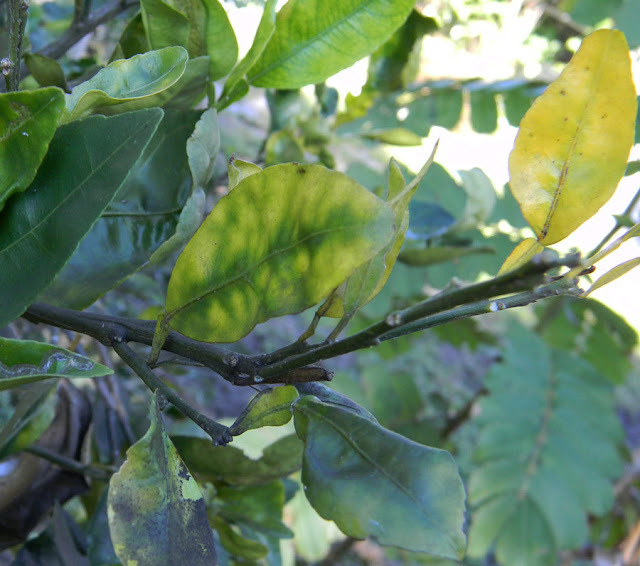 Many of us are sad about seeing Grandma's tree get sick... or the 10-year-old Navel orange you planted when you got married... or the wonderful lemon tree at the neighbor's house that just doesn't produce right anymore. Once they have greening - you can't save them. Don't try. Get rid of the tree before the disease spreads further... and pray that soon we'll have a cure... or at least citrus varieties that are genetically resistant.